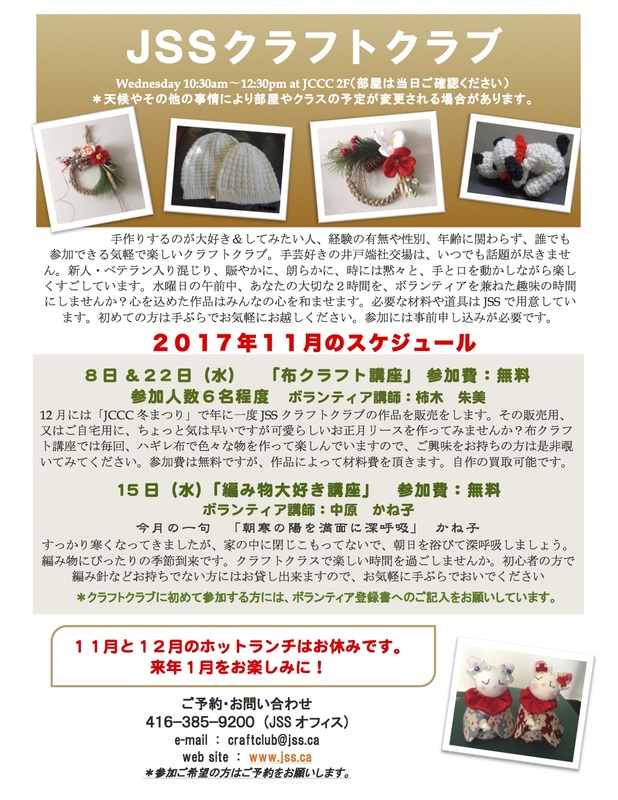 The following is the JSS Craft Club schedule for November (flyer in Japanese only). Nov. 8, 15, 22: Wednesdays. *Please contact JSS (416-385-9200 or E-mail: craftclub@jss.ca) to sign up if you would like to attend.